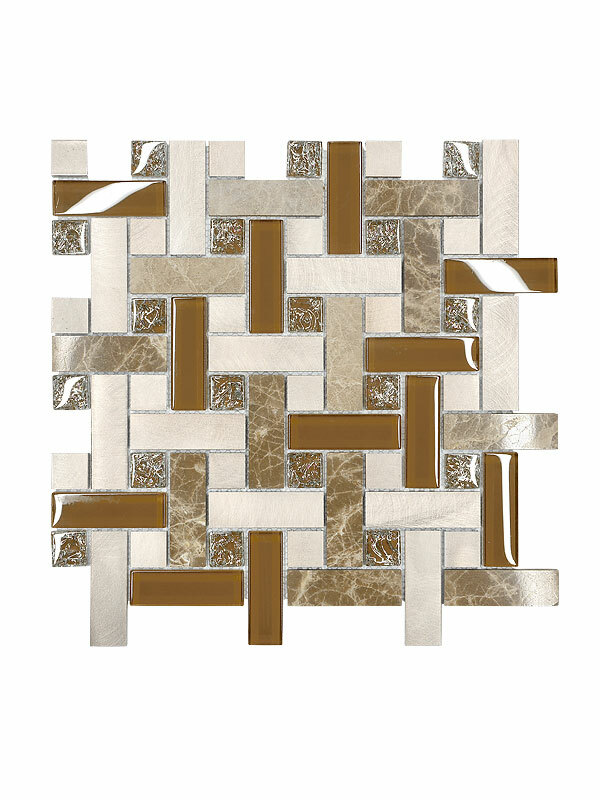 Add a modern twist to an otherwise traditional space with this modern brown marble mixed kitchen backsplash tile. 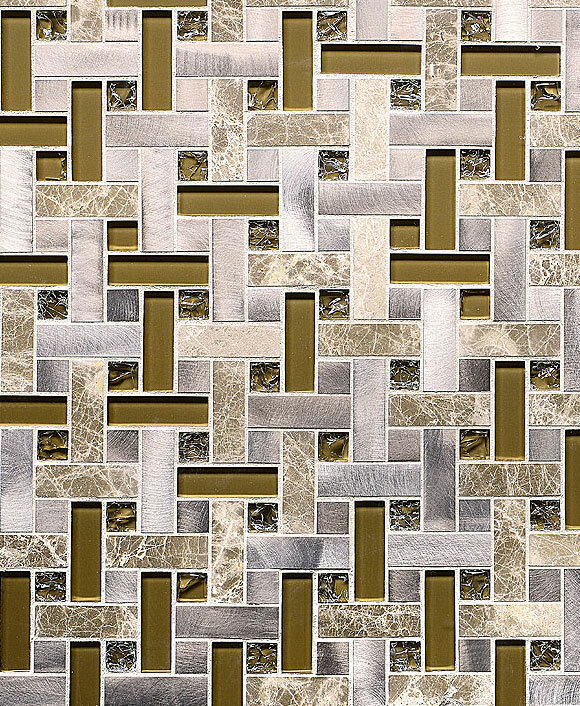 Brown backsplash ideas might sound boring, but this modern backsplash tile really brings them to life. The clean lines and natural beauty of Emperador light marble mixes with glossy and crackle glass and brown metal inserts to craft perfect modern kitchen backsplash ideas. The subtle coloring and style speaks for itself, adding sophistication instantly to your space.